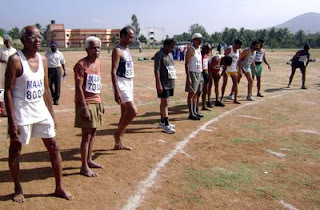 For the first time in the history of Ramanagara, the citizens had a chance to witness the spirit of sports in senior citizens on 13th and 14th of December 2008. The local branch of Canara Bank had sponsored the State Level Senior Citizens Sports Meet arranged by The District Senior Citizens Sports Club . Senior citizens aged above 35 exhibited their passion for sports. 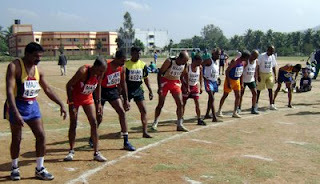 85 year old Mr. Deshpande from Belagaum participated and stood first in 800 mtr running. Many aged male and female citizens from across the state participated in Javelin Throw, Long Jump, High Jump, 5 km walk, Tripple Jump, Running Race. BTW, why dont you have your email id on the site?